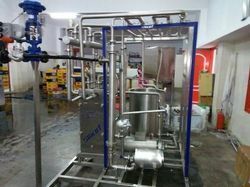 Our product range includes a wide range of juices homogenizer, juice pasteurization plant, juice process plant, fruit juice processing plant and fruit juice processing equipment..
Our company excels in the domain of manufacture and supply of Juices Homogenizer. These homogenizers have accurate performance, durability and are highly used in making fruits juice. Further, these are manufactured by the experienced team using high-quality raw materials which are purchased from trusted vendors. In addition to this, these are available at economical prices to our valuable clients and have outstanding quality. 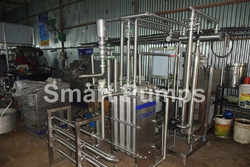 Juice Pasteurization Plant offered provides for precision working finish and support pasteurization of juices. 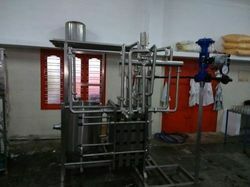 We are one of the leading manufacturers & suppliers of Juice Process Plant. 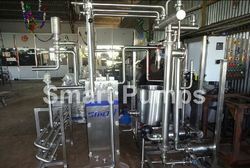 Fruit Juice Processing Plant offered comes designed and developed using latest technology support so as to provide for optimum fruit juice processing support. Further, the plant is so designed to take up small footprint as well as is also easy to manage. It is suitable for processing of apple juice, strawberry pulp juice, pear fruit drinks, grape juice, watermelon juice and others. 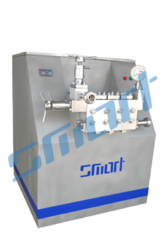 We are one of the leading manufacturers & suppliers of Fruit Juice Processing Equipment. Looking for Juices Homogenizer ?